Special Sales and Pizza TODAY!! 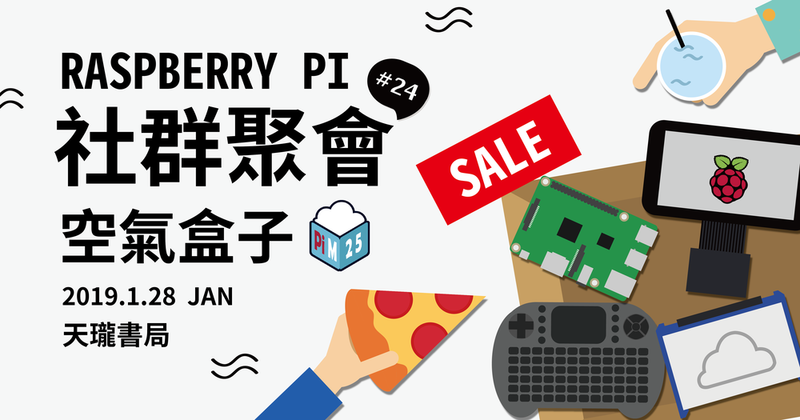 The 24th of the Raspberry Pi meetup, the topic is “Raspberry Pi AirBox(PiM25)”. 1) What is the PiM25 Project?